As part of the Stevenson Technology & Engineering Enrichment Programs, the Cypress Circuits is an after school and competitive sports team at Stevenson School in Pebble Beach, CA. Our goal is to provide teammates a fun, safe, and innovative environment to utilize the skills and tools learned in our growing STEM, Engineering and Computer Science curricula. Our team stands on the shoulders of the community that supports us, so we are always in need of mentors and volunteers. If you are interested in helping our team or another team in the community, please visit our Superheroes page that describes our amazing mentors and indicates the special skills that our team still needs assistance with. Those skills include computer vision, circuitry, welding, or even just offering supervision and snacks. Students, you are encouraged to first talk with your advisors about joining the team. For some terms, only team leads are able to participate for activities credit. For the winter term (during our build season), robotics is a full-credit team sport. Experience is not necessary. Tenacity and optimism are critical, along with a strong craving to learn one or more of the following: mechanical engineering, prototyping, CAD, coding, circuitry, marketing, outreach, branding, welding, leadership. These are the functions within the teams that make up Cypress Circuits, and while we cross-train it is typical to focus on one area per term. Juniors and Seniors that bring or have developed these skills – and are interested in leadership – may apply to be a team lead. Adults, we are always seeking mentors and volunteers. 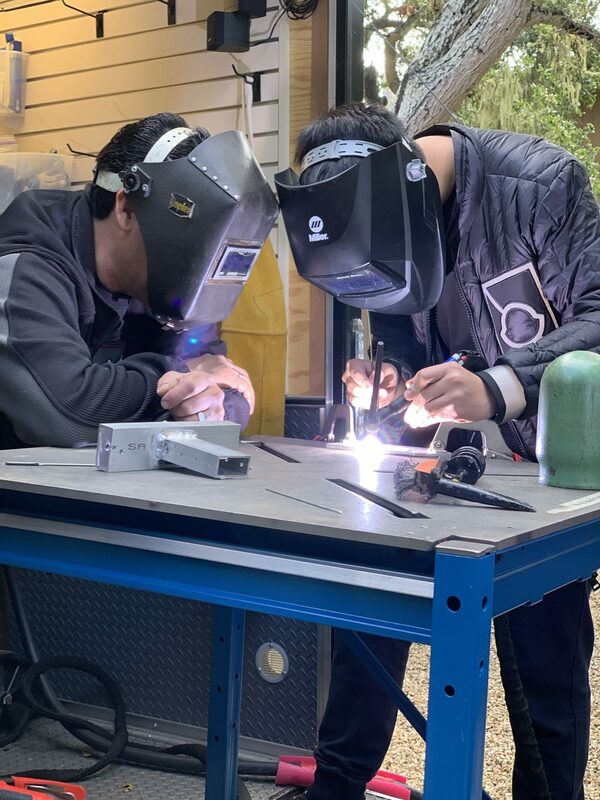 If you fit anywhere between a master of shop tools, CAD or coding, welding – and being able to whip up a tasty pot of chili for hungry minds, there’s space for you to help. Get in touch. We love visitors to our robotics shop on campus! Watch for our information meetings and open houses to visit and learn more. Or, contact us with your specific questions.